hit on the most pressing issues surrounding stormwater—pollution, flooding, and management—but one topic in particular drew the crowd’s attention. One of the largest and most discussed projects in the north shore remains Winnetka’s proposed Willow Road stormwater tunnel. The tunnel would run underneath Willow Road from Glendale Avenue east to Lake Michigan. Residents have raised concerns of more than 1,000 acres of drainage area feeding into the tunnel, and its possible affect on Lake Michigan’s water quality. Johnson said the village would use its current stormwater infrastructure during smaller storms, while the tunnel proposal is designed to accommodate larger rain events, such as a 100-year storm. 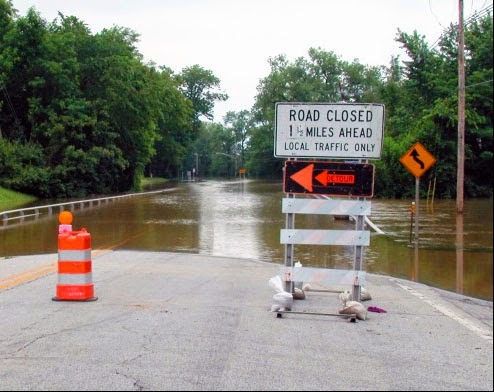 According to Johnson, the tunnel is being pursued due to Winnetka’s west side acting as “a shallow bowl” and that some areas of the west side are below the 10-year flood level of the Skokie River, making them susceptible to flooding.